We can only ship Stiga games and some Stiga parts outside the USA. Other products on our website can not be shipped outside the USA. There is a minimum $20 USD order for shipments outside the USA. All international orders are subject to a 3% processing fee. Please note that the US Post Office has sizing restrictions to certain countries, so there are some limitations on where we can send certain products. Orders sent internationally are non-refundable. We double box the games for extra protection and the shipment is insured. It usually takes 1-2 weeks for arrival. Sorry, but we can not guarantee any shipping times on international orders. (Delayed shipments are not common but when it happens, it is usually caused by delays in customs of the destination country). We can ship small team and part orders to most countries. 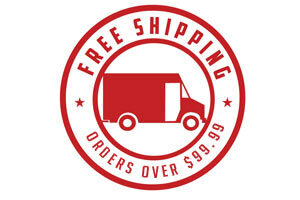 Shipping costs will vary, so email us your exact order and we will get back to with shipping costs. (Sorry, but due to a 24 inch length restriction, we can not sell ice sheets, left wing, right wing or cent er control rods outside the USA). We are currently only accepting Paypal for international orders. There is a 3% process free on international payments. Send an email to tablehockeyshop@aol.com. Tell us which products you want to buy and which country you live in. We will send you back a shipping estimate. Confirm the shipping estimate and we will then send you a Paypal payment request. Sign in to Paypal and make the payment. We will confirm when we ship your order.